• Many drummers use some drum triggering systems but don’t trigger full drum kit. Drummers often trigger a kick drum only. Anyway a set of accessories to be required such as drum module, cables, AC-adapter and DI-box. Such drummers usually take all this setup with them on tour. 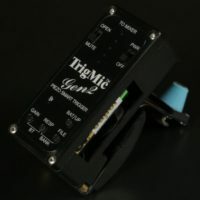 • TrigMic Smart Drum Trigger is a drum trigger with an integrated sound module inside. 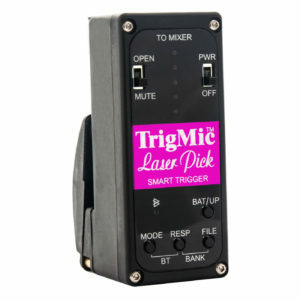 This drum trigger is convenient to use because does not require an external sound module. Direct connection to the mixer console allows working without DI-box. Because of battery power You won’t need the AC-mains and adapter. 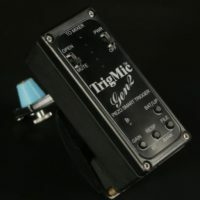 • TrigMic Smart Drum Trigger is a compact lightweight device. It shall be comfortable on tour. You won’t spend the time to drum module connections. 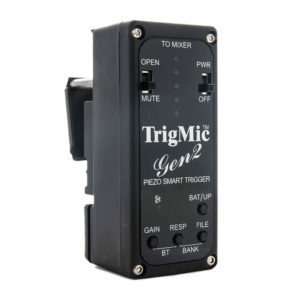 Just attach the TrigMic smart drum trigger onto the rim, connect the trigger output to the mixer console input by usual microphone cable, turn on the power … And play! 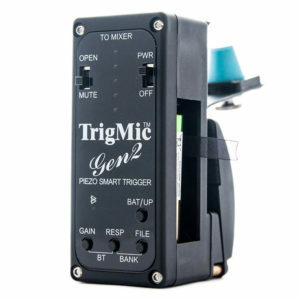 • Smart drum trigger “TrigMic™ Gen2 snare PA” – this is second generation smart piezo drum trigger for snare drum. It made in glass-plastic case. Restyling version of previous model. Сomplete solution with piezo drum trigger and multilayer sound module in one compact enclosure. 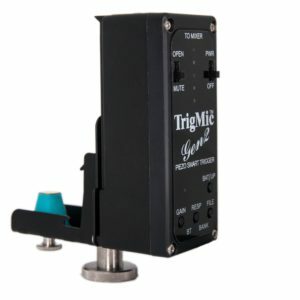 The piezo head for TrigMic™ Gen2 smart drum triggers. 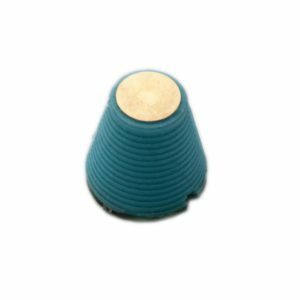 A consumable thing, spare part suitable for all Gen2 models of TrigMic smart drum triggers. The spare kit of light-reflective stickers for TrigMic™ LaserPick smart drum triggers. It makes the beaters visible for the laser beams. 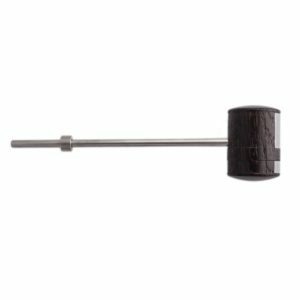 This is bass drum beater for laser drum trigger TrigMic™ LaserPick smart drum triggers. This beater is made of fumed oak with laser tokens.